A concise and easy-to-use guide on dermatologic therapies. Provides health care professionals with a working knowledge of the vast array of drugs available for treatment. 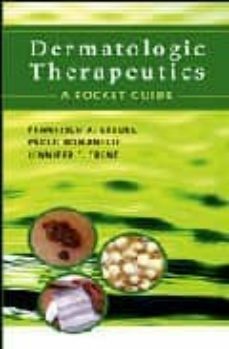 Features an alphabetical listing of therapeutics, inclusion of over 75 diseases, and over 100 dermatologic with contraindications and side-effects all cross-referenced to generic name.